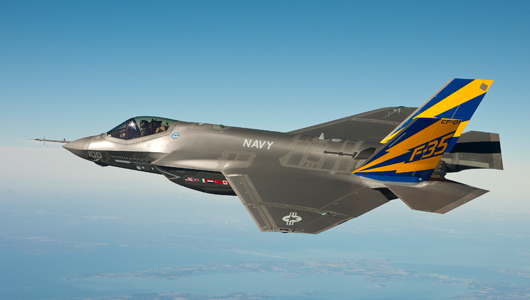 Aerogility Inc announced today that Lockheed Martin Aeronautics has implemented Aerogility in support of the Fleet Modifications (FM) team for the F-35 Joint Strike Fighter. The Aerogility fleet planning system enables the FM team to address challenging scheduling questions, responding dynamically to new sustainment requirements and opportunities in support of the F-35 fleet. The team uses Aerogility to evaluate scheduling options and select the best approach to a requirement or set of problems. Aerogility helps the team to optimize schedules to meet their goals and priorities by resolving complex planning trade-offs – a process that is very time consuming and difficult using conventional planning tools. This flexibility means they can respond to their customer and senior management quickly, presenting alternative strategies and potential solutions. The F-35 FM team was able to build on the fleet planning model utilized by the F-22 Modifications & Heavy Maintenance team, leveraging the success of Aerogility over the last four years in enabling the F-22 M&HM team to increase aircraft availability.